I’m continuing my series looking at digital transformation trends in various industries. Previous focus has been on trends in sectors such as healthcare, retail, finances, and media and entertainment. Today, I’ll discuss how digital transformation has revolutionized the automotive industry. Elon Musk predicts the autonomous vehicle (AV) is “just going to become normal. Like an elevator. They used to have elevator operators, and then we developed some simple circuitry to have elevators just come to the floor that you’re at, you just press the button. Nobody needs to operate the elevator. 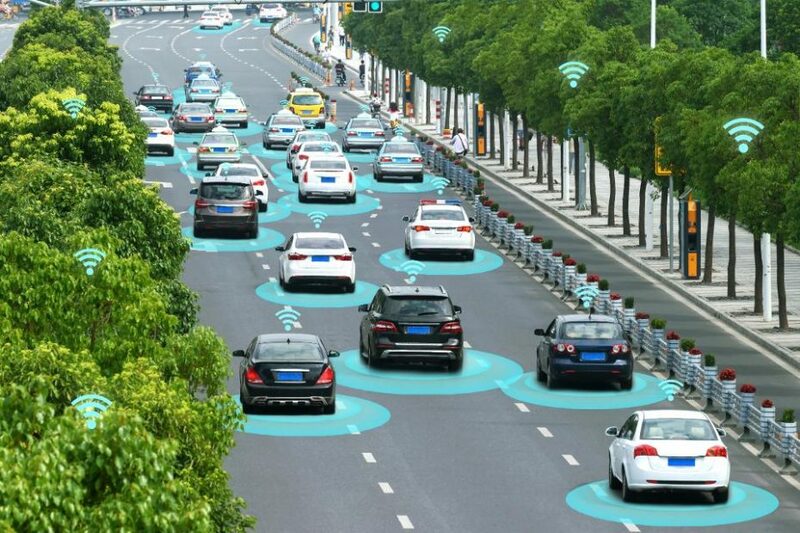 The car is just going to be like that.” The possibility of cars driving themselves will become a reality thanks to the collaboration between several advanced technologies. From GPS to sensors to cameras to connectivity and algorithms, AV will ultimately handle all situations and all conditions. The expectation is that AV will decrease automotive accidents and deaths, and give those previously constrained the freedom of travel. Assisted-driving, another facet of autonomous driving, is becoming more mainstreamed every day. The goal is that this feature becomes more readily available in the less expensive models. It is anticipated that assisted-driving technology will be so effective in reducing accidents and lowering insurance costs that in the next 10 years, it will save consumers upwards of one trillion dollars and, most importantly, more than 900,00 lives. As we’ve seen in other industries, digital transformation trends are being used to personalize a consumer’s experience and customize to his needs. The automotive industry is no different. By digitizing the connected supply chain, it drives costs down, more effectively engages the consumer, and collects and uses data to better serve consumers. Recently, the industry has moved away from the national and regional production and toward a more decentralized approach for both production and the supply chain. In addition to lower costs, this has allowed for more transparency in the supply chain, accelerating design, manufacturing, and delivery. Communication made possible by social media and the Internet of Things provides instant feedback that “talks” to a smart factory. A smart factory uses advanced algorithms and AI to perform tasks like creating schedules and managing workflow, and has robots working alongside humans on assembly lines. These connected technologies increase productivity and decrease defect rates as shown in a small electronics plant in Germany. In 1990, the plant was 25 percent automated, compared to today’s 75 percent automation. Further digitization has dropped defect rates to below 12 per million, and output has increased 8.5 times. Despite obvious financial barriers in constructing these smart factories, the giant improvements to production, flexibility, and performance will likely overcome this hurdle. Do your tires need air? Does a part need replaced? There’s no more guess work in car maintenance since today’s vehicles let us know when they need maintenance or replacement. Using advanced self-diagnostic systems, drivers are instantly alerted any time there is a problem, allowing us to proactively service our vehicles, drastically reducing mechanical failures and recalls. A fantastic example of predictive maintenance at work is Michelin’s tire monitoring program. “Using telematics and predictive analysis, the service provides over-the-road tire monitoring. Data is collected digitally and fed into the fleet’s asset monitoring system, giving companies real-time performance analysis and wear data of specific tires on individual trucks.” Now we know there’s a problem even before there’s a problem! The data maintains a connection between OEMs and customers, even as owners of one vehicle change. As far as service of a vehicle goes, that, too, has become digitized which requires not just mechanical attention and repair, but a tech-savvy technician to maintain and update software. The dynamic duo of mechanics and technology means optimal vehicular performance for longer periods of time. Remote service becomes a possibility, whereas now, owners take their cars to garages or shops. With the continued integration of technology, gauges and knobs will be replaced with a digital interface that allows for over-the-air updates, meaning owners don’t have to leave their driveways for routine car maintenance. With the continued emergence and dominance of private and public ride sharing, we find vehicles have become an element of connected living. Disrupting the current landscape of the automotive industry are independent are startups like Uber and Lyft, which lend to the shift away from privately owned cars and toward the service-oriented forms of transit. Presenting consumers with financial relief by eliminating expenses like the huge upfront cost of purchasing a vehicle, down to the maintenance and licensing and registration, mobility-as-a-service (MaaS) translates into big savings for the customer. Rather than swim against the current, the auto industry has opted in. Partnerships with and investments in these companies is just the beginning for the industry; Volkswagen is forging the way with its own ride-sharing app, while Fiat is in talks with Google. Second only to utilities, the automotive industry is the most data-driven industry in the world. Intelligent vehicles collect data about drivers, destinations, routes, traffic patterns, etc. The consumer benefits in that he will be at the center of these efforts, as companies continue working to establish and maintain levels of customer loyalty. Jaguar Land Rover has rolled out a smart car that uses data to learn driver preference and behavior. Connected software systems use data to communicate with and engage drivers; however, they must be secure in order to protect consumer data. An example of such plagued technology like the OnStar RemoteLink iOS app. For as convenient and beneficial as the app is, it’s also the potential playground for hackers. General Motors was under cyberattack when hackers forcibly took control over several vehicle functions. Manufacturers understand the utmost importance of data security and protection which is why they are in constant search of forward-thinking advancements as the automotive industry continues its digital revolution. These kinds of widespread changes inherently pose challenges to any industry. However, the benefits of technological advancements and the digital revolution of the auto industry far outweigh said challenges. A version of this article was first published on Forbes.